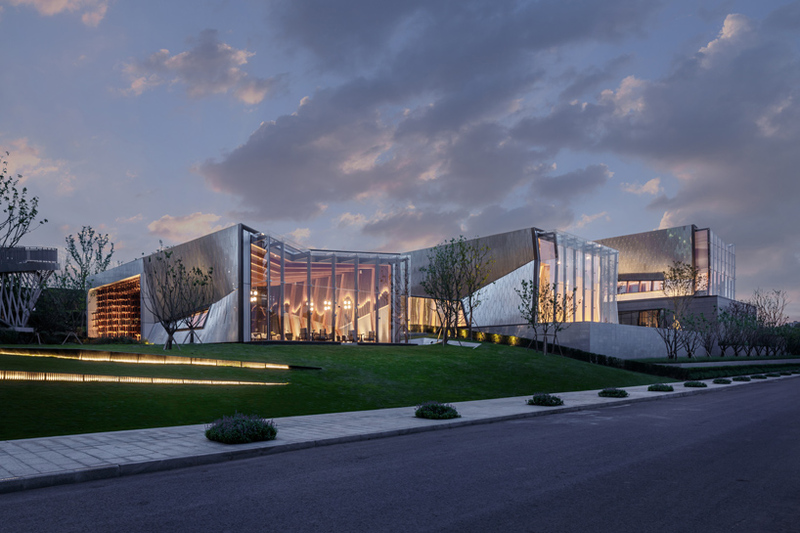 shanghai-based firm challenge design completes the multi-purpose ?yuanlu community center? in chongqing, china. the project, sited near the ancient town of longxing, faces the yulin river and mirrors distant rolling hills. as a response to the topography of the site the project is divided between three buildings, organized side by side along the slope resulting in sequential interstitial courtyards. the center offers such functions as an exhibition hall, book bar, swimming pool, and cafe ? each building is scaled according to its program. while each building takes on a linear organization, challenge design introduces a rich spatial character with sectional deformations. the resulting quality is that of a twisted box comprised of dynamic serial sections, expressed through the exposed interior wood structure. challenge design curates a fluid circulation between the three buildings by linking each space organically with corridors and courtyards.